Most hotels offer you reasonably comfortable accommodations; nonetheless, it is an undeniable fact that spending a night in a hotel room is not the same as spending the night in your own home, in the comfort of your own bed. Having been in the travel business for quite some time now, our Modesto limo service has picked up a few tips along the way on how anyone can make a hotel stay more comfortable. Before we proceed to discuss these useful tips, we would like to recommend boosting your comfort during your time away from home by hiring our concierge Modesto car service for all your transportation needs. Reduce the stress and hassle of commuting from your hotel and trying to navigate what is possibly an unfamiliar city/town by allowing our professional chauffeurs to take the wheel. We have built a reputation on safety, timeliness, and reliability, so all you have to do is sit back, enjoy the luxury ride and all the deluxe amenities of our vehicles as we transfer you promptly to a destination of your choice. 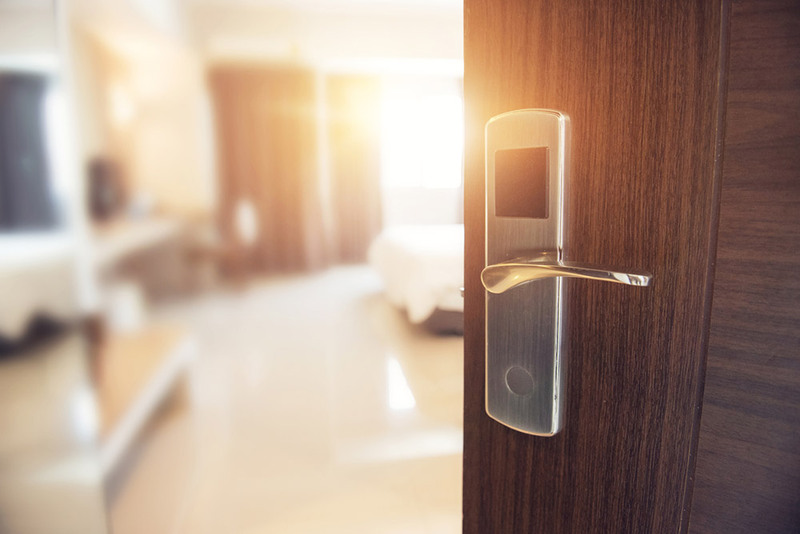 Unfortunately, most accessible hotels are located close to the town/city centers and, consequently, you may find yourself exposed to the background noise of moving cars, horns, restaurants, night clubs, and so forth. Even when you are further away from the city center, you may still find that you are exposed to the loud TV noise from the adjacent room, kids playing in the hallway, etc., and if you are used to a nice, quiet environment, this can be extremely unsettling. To ensure that you get a good night’s sleep and that you wake up rested the following morning you need to come prepared with noise repellants. This could be anything from earplugs, noise-cancelling headphones, a white noise machine, etc. If you can’t find a quiet environment, it is up to you to create your own for a more comfortable and relaxing stay. We know this one may not be possible on every trip, but if you are used to sleeping with sparky curled up at the foot of your bed, it may feel strange be sleeping without him or her. If you can, we recommend that you find out which pet-friendly hotels are available to you in the town you will be visiting and make reservations. Nothing will make a hotel room feel warmer than having your furry friend roam around and lie next to you just like they do at home. Most hotels offer guests pay-per-view entertainment at their own cost, which can be quite expensive. If you are going to be cooped up in a room for hours on end, you will definitely need some form of entertainment, so come prepared with less expensive alternatives. For example, bring your portable DVD player, a gaming system, iPod, your favorite book, etc. Having the same entertainment appliances in your hotel room as you do at home will definitely go a long way in making your stay feel warmer and more pleasant.